It is supremely ironic that at the very moment revelations from the audit report of NICIL have pointed to the flouting of procurement rules and the absence of competitive bidding under the previous PPP/C administration that the new government is now facing the same charges as it relates to its murky MoU with Fedders Lloyd for the specialty hospital. It is worth restating here why the new government has blundered so patently in the MoU and why the course should be reversed. First, APNU+AFC was elected on a platform to cauterize the excesses of the previous government relating to secret deals with favoured investors, single-sourcing of goods that should have been widely tendered for and ill-judged decisions that terminated in the waste of public funds. Therefore, all of its steps in this area, particularly one that could lead to a deal worth US$14m plus, demand the highest prudential standards and compliance to the nth degree with the applicable laws. That has not been evident in this MoU. 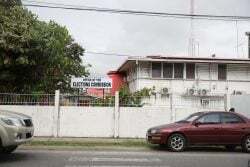 Second, the original tender process in 2012 for the specialty hospital was rife with controversies ranging from whether Surendra Engineering Construction Limited (SECL) had been favoured far beyond its capabilities to whether a discount offered by Fedders Lloyd was permissible. 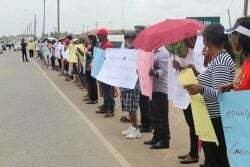 The process was also shaded by longstanding concerns about the integrity of the procurement system and the absence of the Public Procurement Commission. All through this period, politicians from both APNU and the AFC had condemned the manner in which the award had been made. 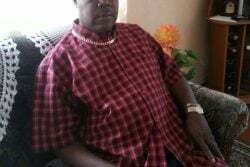 How then can the APNU+AFC administration conceive of piggybacking on a tainted process? Third, at some point after Fedders Lloyd lost the Specialty Hospital bid to SECL, the leader of the AFC, Mr Khemraj Ramjattan, now Vice President and Minister of Public Security began advocating on their behalf. Mr Ramjattan has said that he was approached by the company on the basis that he was known to be an anti-corruption crusader. At one point, the AFC had said when questioned about the issue that there was nothing wrong with Mr Ramjattan undertaking work for Fedders Lloyd so there is some haziness surrounding the actual brief. No matter the arrangement, when taken all together, the sequence of events paints an unwholesome picture. It goes this way. Company cries foul about bidding process, enlists opposition politician, party headed by opposition politician gets into power, disaffected company gets MoU for hospital without having to bid. Fourth, following the clinching of the MoU, the public has been misled by the Ministry of Finance on the status of the Fedders Lloyd bid. 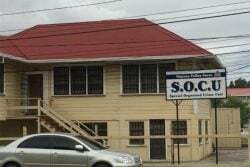 The Ministry sought to convince the public that Fedders Lloyd was ranked number two in the original bidding process for the specialty hospital and this somehow provided it with a gateway for consideration. This is not so. Fedders Lloyd was officially disqualified from the process for failure to submit a parts list. This in itself further weakens the basis for considering the company. In the aftermath of the May 11 general elections, the public must not be deceived in such an important matter whether intentionally or unintentionally. The Ministry of Finance owes an explanation to the public. It must be able to speak accurately about the public record and argue its case within the contours of the law – in this case, the Procurement Act. Fifth, decisions which are made without a framework are easily exposed particularly when they involve many players. There has been no cogency or coherence from government leaders around the decision for the Fedders Lloyd MoU. In its joint statement with Fedders Lloyd on the MoU, the Ministry of Finance said on November 25 that the MoU was clinched in the interest of time. When pressure was brought to bear, the Ministry of Finance then shifted gears. It made the fallacious argument that Fedders Lloyd was the second ranked bidder and quoted a section of the Procurement Act that was inapplicable. It then also raised the argument of Fedders Lloyd holding to four-year-old prices for the project which in itself should raise red flags. The varied explanations didn’t end there. Minister Ramjattan felt it necessary to offer his own in a column in the Kaieteur News to the effect that the specialty hospital contract permitted the government to contract a third party under certain conditions. It goes without saying that contracts should never be crafted to operate outside of the laws of this country – in this case the Procurement Act. It is clear from the different explanations that the government is in damage control mode. What is equally evident is that the basis for this Fedders Lloyd MoU is tenuous and appears imposed on the government. This MoU cannot withstand scrutiny. It is hard to believe that a seven-month-old government which is drawing damning conclusions on its predecessor in similar cases would allow itself to be saddled with this burden.